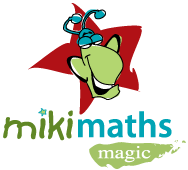 Miki Maths was started 11 years ago to help children develop a solid Maths foundation. Today we proudly operate 45 franchises throughout South Africa, and teach thousands of children on a weekly basis. The Maths Café is an extension of this, to cater for Grade 4-11 children. We believe that the best way to ensure long term success in Mathematics is to develop and master fundamentals constantly. There are 36 lessons per year and the fees are payable over 10 months (Feb-Nov).